Both hands on the keyboard is the way of the ninja! 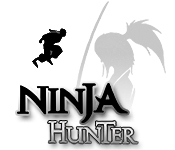 Type words quickly and correctly to stop the ninjas in Ninja Hunter. 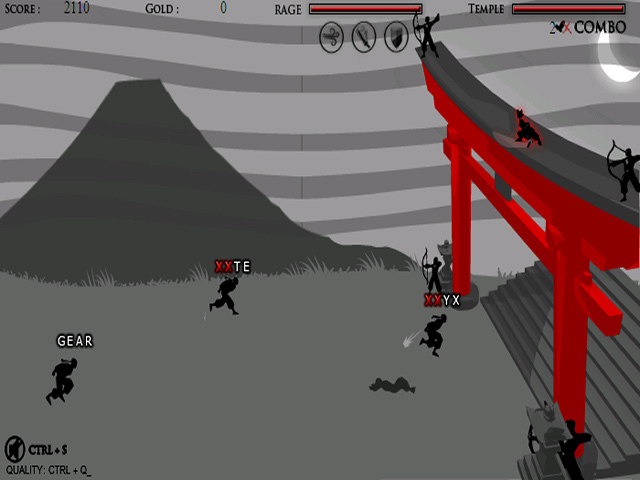 Hi-ya!Wage a war of letters against ninjas.Both hands on the keyboard is the way of the ninja! 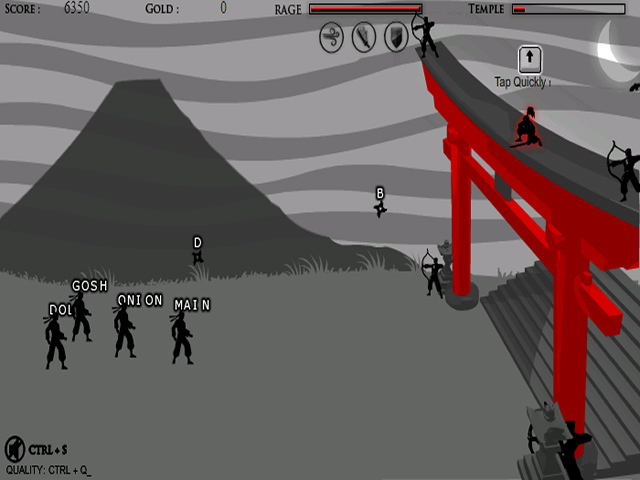 Type words correctly to stop the ninjas in Ninja Hunter, a unique typing game. 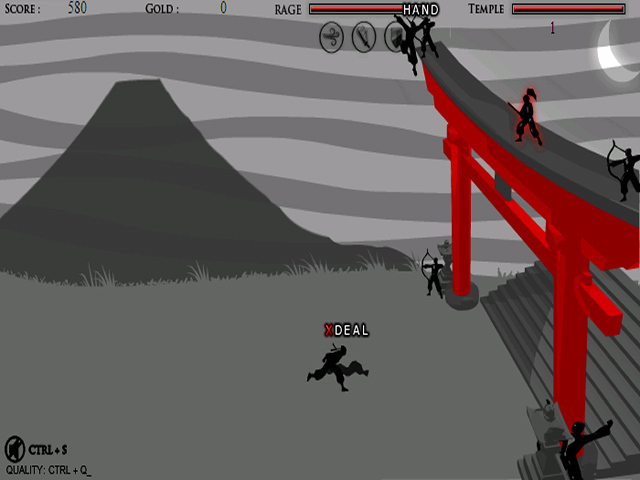 Type the words with your keyboard to defeat each enemy. Watch out for throwing stars! When your rage bar is full, press 1, 2, or 3 to unleash powers of the wind. Hi-ya!